Beat Knitting: What would Ricardo Montalbán do? 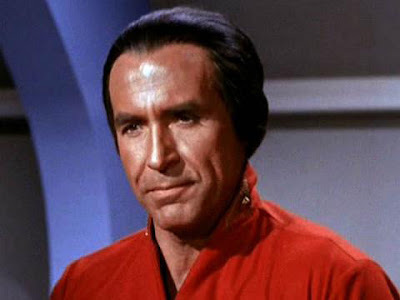 What would Ricardo Montalbán do? As a kid, I watched more episodes of the Merv Griffin show than was healthy. It was there, I think, that I heard Ricardo Montalbán say, he had long ago given up on hopes and dreams because they led to disappointment. He tried to be happy with the roles that came his way. He was probably playing Mr. Roarke on “Fantasy Island” at the time. I can see how, under the circumstances, his was a healthy attitude. I myself, have, for several decades, enthusiastically been living a life of low expectations. For me, fatalism leads to serenity. Whenever I temporarily get ambitious and try for something better, I go mad. So, I hope it is more a paradox and less a sign of impending insanity, that I’ve lately been engaged in activities that require a good amount of striving and a fair degree of hope for a happy ending. I’m over-dramatizing. Here are my two modest dreams. 2) To finish a half marathon without walking, crying, or swearing-off running (swearing and cursing during the race will be allowed when warranted). To make my dreams come true, I’m in training. The half marathon training is predictable: more mileage, strength workouts, etc. It’s too boring, really, to write about here. I’ve also completed my first totally-from-scratch sweater. It’s not the “good sweater” I’m working towards, but, more like a useful experiment. I’ll have more details and a photo as soon as it’s blocked. Ricardo Montalbán’s full name is, Ricardo Gonzálo Pedro Montalbán Merino. Merino? Cool! It’s been rumored that to achieve a buff look, Mr. Montalbán wore a prosthetic chest during the filming of “Star Trek II: The Wrath of Khan.” These rumors were denied by Leonard Nimoy in his book “I am Spock.” To celebrate Cinco de Mayo, Don and I rented Star Trek II. If Mr. Montalbán’s chest was enhanced, in my opinion, it was only with bronzer and strategically placed duct tape. In 1984, Mr. Montalbán visited the restaurant, La Pinata (or something like that), in Bellingham, WA, while filming a commercial for the Chyrsler Cordoba. He ordered a chimichanga. Don, who was then a fresh-faced reporter, interviewed the perfectly coifed star on location. Mr. Montalbán was exceedingly gracious. * Paramount Pictures and/or CBS Studios This image is copyrighted, but used here under Fair Use guidelines.